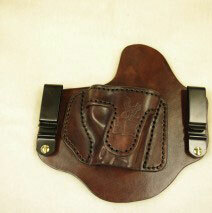 This right hand Paddle holster was made for a Sig P239 with the customers initials added. 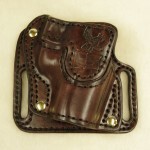 Unfortunately when the holster was completed I was unable to contact him. 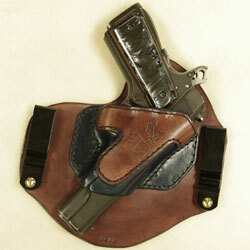 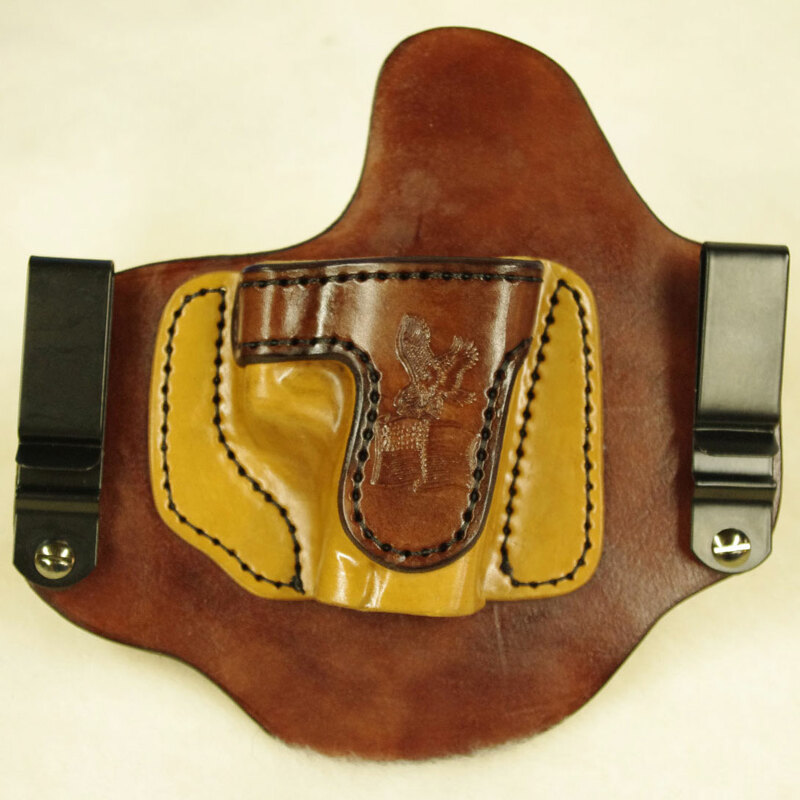 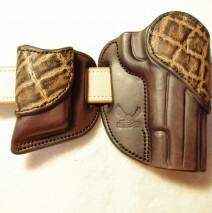 Because this has the initials “WB” on the front it will make a great range holster for some one that wants a great deal. 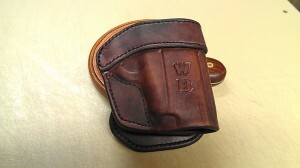 (if your initials match it is an even better deal). 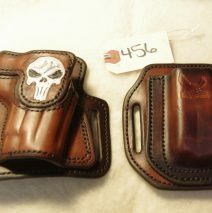 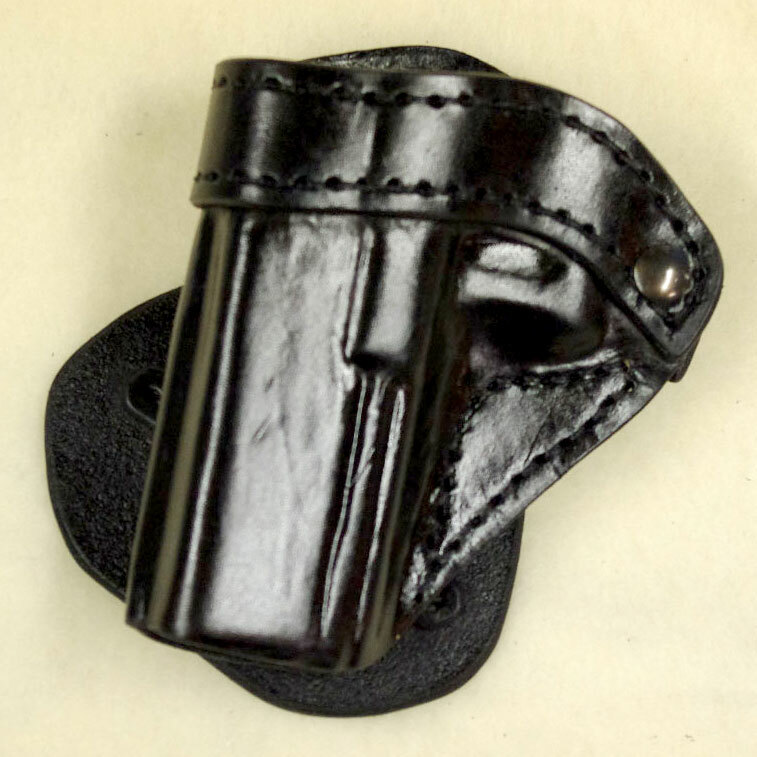 Normal price for this holster with out the tooling would be $98.00 plus shipping.